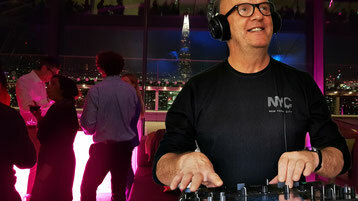 High-end Party DJ wanted for your event? - Whether a wedding, birthday or corporate event, you are exactly right here! 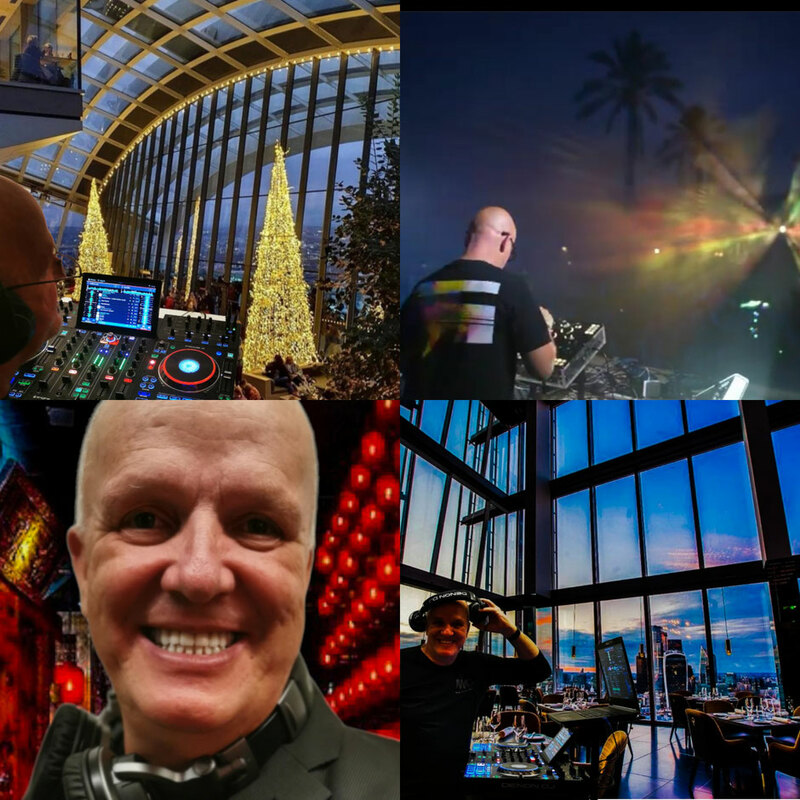 "Chris Bernard" has for many years internationally in many popular clubs and at major events on the go and is often booked straight in or near Munich as a DJ for the party at the company party, the birthday party, the Club event and especially for the wedding reception. Decide here for the high end DeeJay service for your event. Only a deejay with the feeling for the right music in the decisive moments can leave a lasting impression on all those involved, so that the reason for all still remains highly memorable. Professional DJ Chris Bernard and his mission: to spread a good mood! His method: Sophisticated Music - groovy sound - the best mix of yesterday until tomorrow! Chris Bernard of the mobile event Deejay Service with everything the perfect party needs. Whenever you need a disc jockey for your company event or wedding reception, please contact the qualified Deejay Service of Chris Bernard. Chris Bernard organizes events with passion, attention to detail and the highest degree of professionalism. Great emphasis is placed on your individual needs and a cost-conscious calculation. Thanks to years of activity as a mobile disc jockey, the professional Deejay of Munich offers a varied and wide-ranging program for sophisticated entertainment at every party - Apres Ski - - offer wedding - birthday - corporate event - Christmas. It is not only the best music from around 150,000 titles (as well as approximately 1.5 million titles online) offer, but also a complete event planning with visual connection. Through years of experience and relationships in the mobile event area Chris Bernard has the necessary knowledge to plan and implement your event - Event Planning - Event Consulting - Music consulting - LokationScout - Event Consulting from A - Z. If the customer after the event pleased with the result, he will book the Discjockey service again and recommend. Most of its 1,300 jobs Chris Bernard received from recommendations of previous events. Many companies - Locations and private Bucher engage always happy to professional DJ from Munich back and trust so in full the skill of Chris Bernard. looking for DJ Wedding Munich ? - Usually has a long lead (wedding, food, speeches and performances). With the ceremony beginning often takes a wedding DJing for sixteen hours and more. The call for the guests - and is a challenge for the professional wedding DJ. - Guest is - at least to a late hour - less different than at a birthday party. After the opening dance of DJ can continue to play music for ballroom dances, after about 30 minutes he lifts the tempo party music. from reception to dinner to party - a promise that can keep you Chris Bernard guaranteed! What DJ Chris Bernard, that others do not? Chris Bernard with his music repertoire is very broadly. He specializes in downbeat - Deep House - Tropical House, on the 80 / 90s (funk and disco), the 90 (dance and pop), R'n'B, Hip Hop, recent house, electro and current dancefloor, groovy Rarities from 70 years of music. He plays as desired also Partyschlager (apres ski) and international music. You can share your musical orientation, musicians or songs to him at any time. Of course, DeeJay Chris Bernard prepares the motto of the respective company, compiles the expected music program and can thus at the event to the individual music requests received. 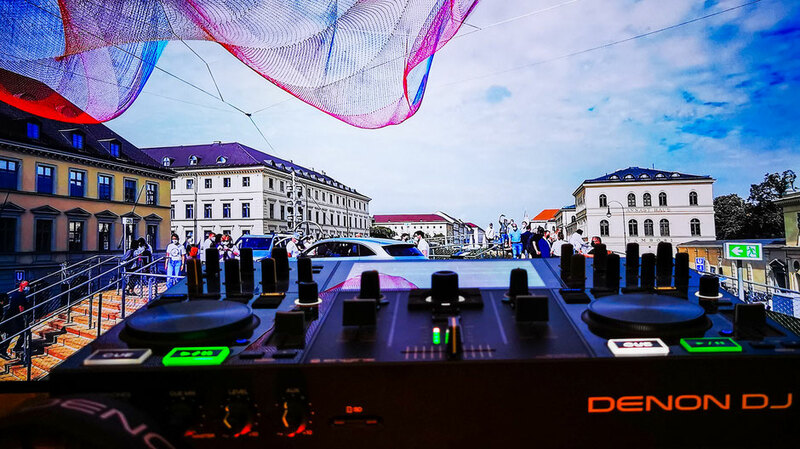 Since Chris Bernard as a mobile DJ service for weddings and party operates, he mainly in Bavaria, especially in Munich and the surrounding area, met a lot of places. Many of these venues he could repeatedly collect a very positive experience. Directions, parking, service to catering and childcare are all important criteria for success of an event. Determines Your Location was at it, ask for! Chris Bernard serves its events always with high-quality technology. He attaches great importance to an unobtrusive sound by high performance boxes, as well as the space-saving but highly functional DJing Set. Depending on your needs, everything can be offered to you Technology. From Beamer - canvas up to several radio microphones and connections to different sources, everything can be booked in different packages. For demanding event includes the right light. 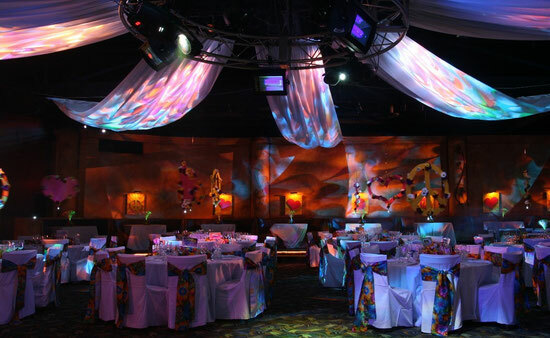 Mostly give special light effects the room addition a sophisticated atmosphere, plus you get to the DJ Service by Chris Bernard, a professional advice and best LED equipment for your event. 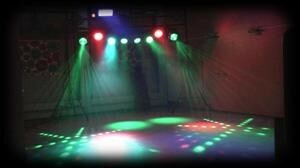 The party gets the perfect disco flair through moving LED lighting effects. Here you will find the latest developments with your dance floor. On the following pages you can read extensive information about the DJ career of Chris Bernard, browse its music lists, view current mixes Pre-listening and films from past events. In addition, you will find information about favored localities in which Deejay Chris Bernard with its high end DJ service was repeatedly employed and of course extensive insight to the activities of a professional disc jockey at weddings, as Chris Bernard.